Want to prove you're a better driver than your friends? There's a growing list of apps to do just that. These apps look at information collected from a smartphone's GPS, accelerometer and gyroscope to sense if you brake or accelerate sharply, determine how fast you drive, and whether you make jerky turns. Not surprisingly, insurance companies have an increased interest in obtaining the data collected on drivers' smartphones. The information will be used to understand what type of driver you are, and the companies say your rates won't go up as a result. In fact, U.S. -based insurers such as Liberty Mutual, Allstate (ALL) and State Farm offer programs for drivers to receive a car insurance discount for submitting such information. 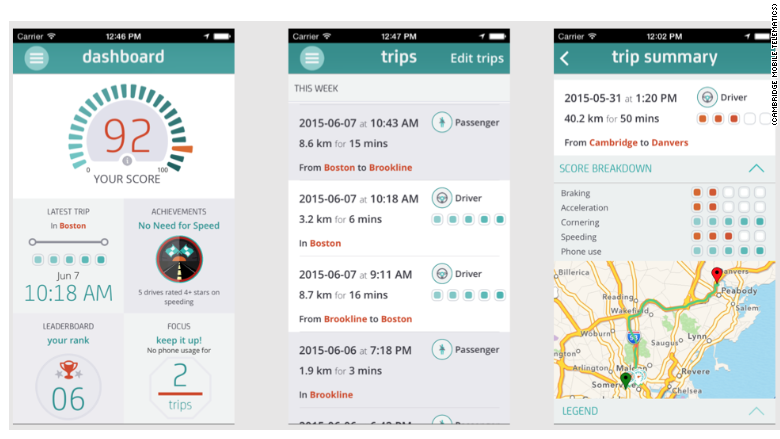 Apps can provide detailed data about how well you're driving. That's because insurance companies believe smartphone data can be a remarkably effective predictor or how likely someone is to be in a crash. "It changes the whole way insurance works," said Anton Ossip, the chief executive of South African company Discovery Insure. Ossip considers smartphone apps as the biggest innovation the insurance industry has seen in a decade. Previously, insurance companies had to rely on a driver's gender, age and location to determine their risk of being in a crash. Now, access to whether or not you regularly slam the brakes is something that can help predict how safe a driver you are. Drivers who regularly brake hard are likely struggling to anticipate what lies ahead, making them more at risk for a mishap. These insurance companies consider how a driver brakes along with many other factors to determine what to charge them. People are rewarded for handing over their smartphone data with lower rates. 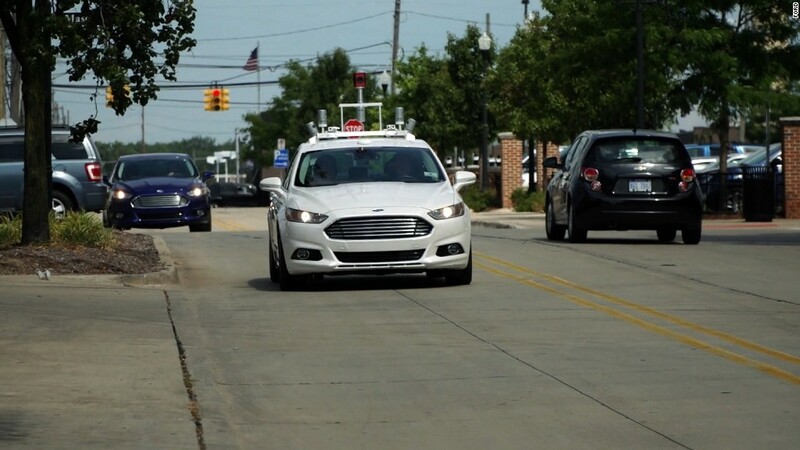 Some also believe the concept encourages good driving behavior. "Safe drivers are made, not born," said Hari Balakrishnan, founder of Cambridge Mobile Telematics. " With the right kind of information, feedback, incentives, rewards and games with leaderboards, people can actually become better drivers." Balakrishnan, who is also a professor at MIT's Computer Science and Artificial Intelligence Laboratory, has spent five years looking at what smartphone data tells us about drivers. His company has active programs in over 14 countries and works with multiple insurance companies. The typical State Farm customer who signs up for its Drive Safe & Save program receives up to a 15% discount. "Even if you're the worst driver in the world, you're still going to get a minimal discount," Scott Bruns, State Farm's property and casualty actuarial director, told CNNMoney. Meanwhile, Nationwide's SmartRide program gives drivers a 10% discount for signing up, with the possibility of getting an additional 30% off their bill depending on their habits. According to some of the companies, smartphone users who track their habits on the road tend to ultimately improve their driving. 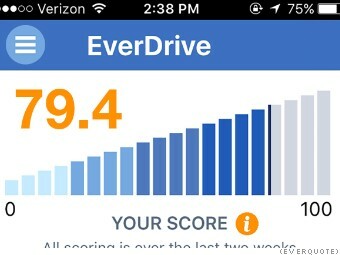 Those who use EverQuote's Everdrive app -- which rates drivers on five factors: phone use, speeding, accelerating, cornering and braking -- show a 31% improvement after using the app, according to the company. The data comes from 25,000 drivers, with over 30 million miles tracked, who used the Everdrive app during a four-month period. In addition, Discovery Insure has found driver quality improves by 17% in the first six months after signing up for its program. While the improvements haven't surfaced yet in publicly available crash reports, safety advocates see the promise of what these apps offer. "While they are not a magic bullet, we are supportive of their use," said Jonathan Adkins, executive director of Governors Highway Safety Association. "It's very difficult to reach drivers and change behavior so we're in favor of the kitchen sink approach -- anything and everything."